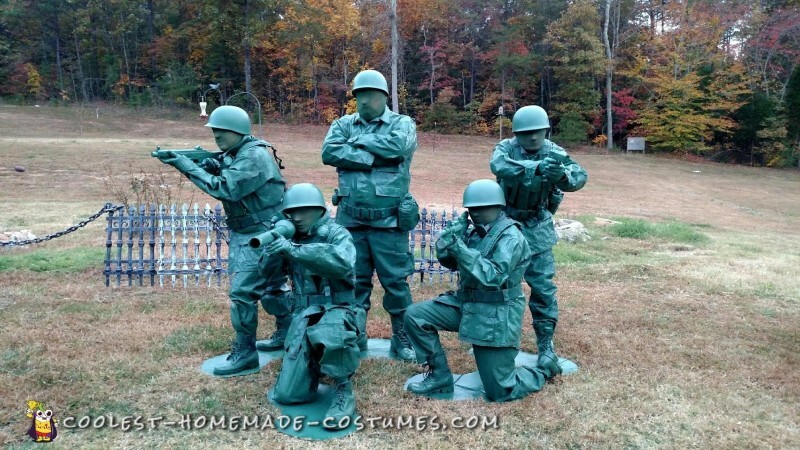 For this DIY group toy soldier costume, we started with the idea since we are a military family and it evolved into toy soldiers. First we had to gather supplies. We had uniforms from when we were in the military and the uniforms we didn’t have (we needed 5) came from consignments stores, flea markets, eBay, and yard sales. The belts and boots came from an army surplus store. 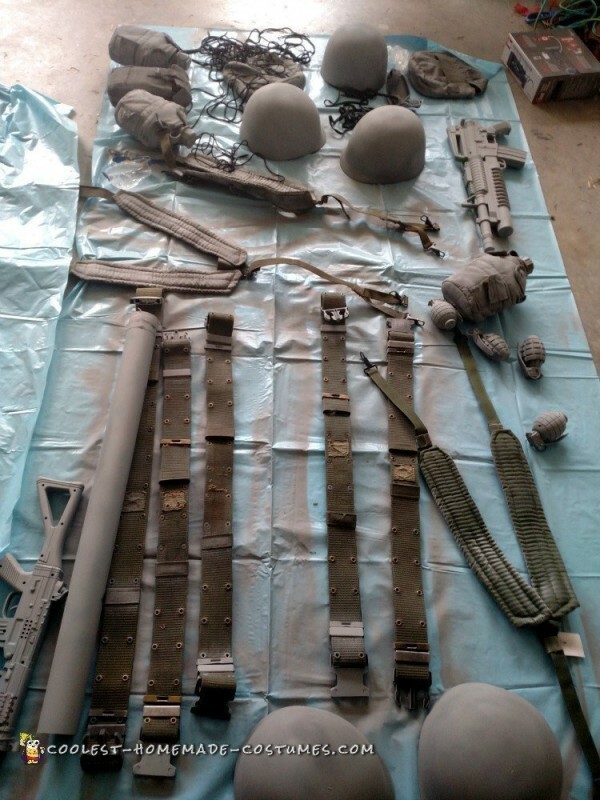 The hats and grenades were toy hats found online.We made the big guns with PVC pipe, made the masks with painted nylons over balloons, stuffed canteen covers, the gloves with latex gloves. Then we primed and painted for weeks on end. We primed it all and lets just say it took a TON of paint, so much we almost had to quit half way through but we didn’t give up. 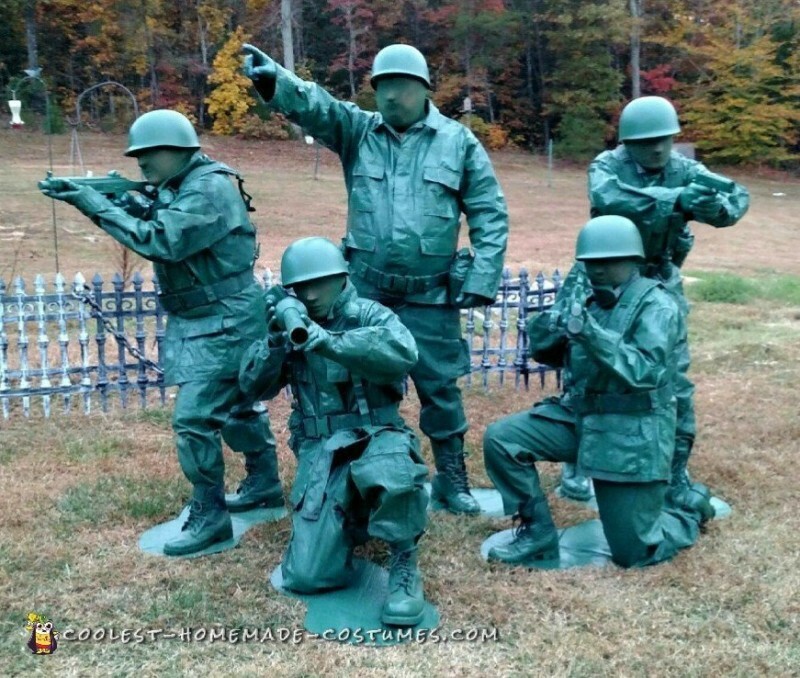 It was amazing how this stuff just soaked the paint in and with what started as a few cans of spray paint ended with about 25 cans of primer, 25 cans of green spray-paint and 3 gallons of oil based paint, oh and a paint gun! 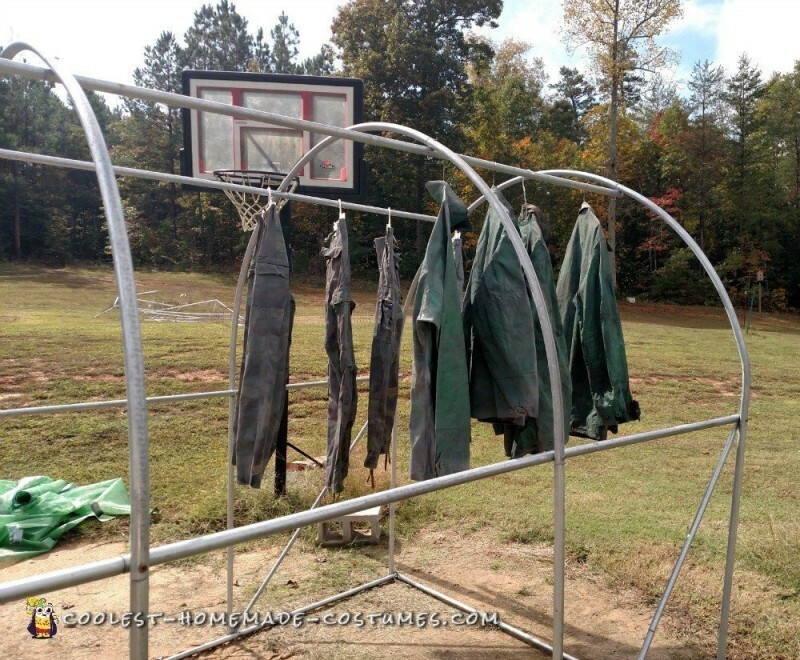 Each day we would hang the costumes outside and spray coat after coat for days on end, hanging them on a greenhouse base until we achieved coverage that looked like plastic. Needless to say it got a bit pricier than expected but we couldn’t turn back. The reactions from our party guests were amazing, everything from “those are better than Disneys” to “can you walk” to “that’s epic”, “that rocks”, “unreal”, “so cool”, “most awesome thing ever seen”, “off the hook”, “out freaking standing”, and a whole lot of phrases I probably should not post here but they were good! The best part is we are a foster family and have fostered over 100 children over 10 years. My 3 biological children have unselfishly shared their parents, rooms, time and toys for all these kids. 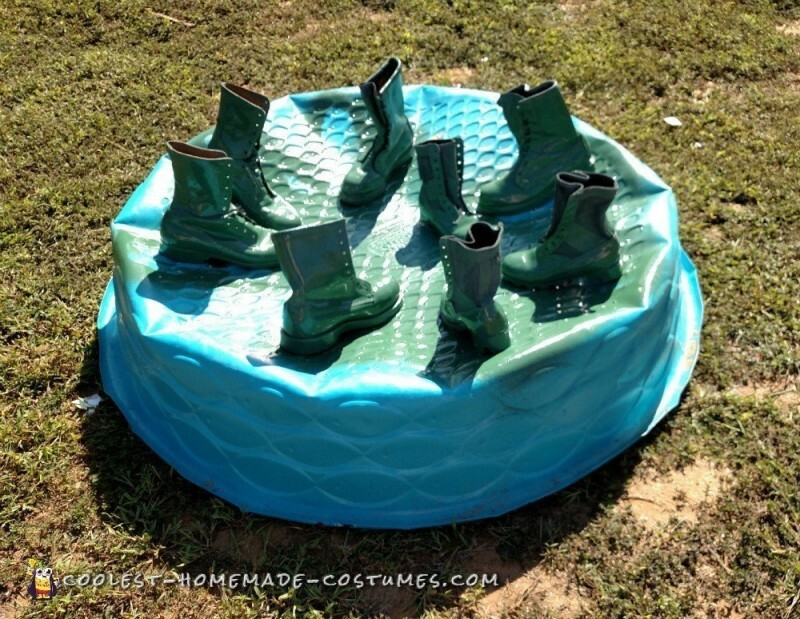 Since the foster kids were too young to help or wear these, it was something special that we wore as a family with our older children, just us 5, something we haven’t been able to do in years and it was fun. We felt like celebrities when we walked outside at the party and posed. Over 110 people in attendance were clicking cameras, flashes, and making comments, It was an amazing feeling. I wish I could have taken a video of a few funny things: us 5 trying to get into the costumes in the garage (it was a challenge to say the least), and us trying to dance in our thriller flash mob we performed at the party, as well as the reactions we got. Truly, a great memory. Local contests are exempt since our older 3 recently started college (twins plus 1) and are away. 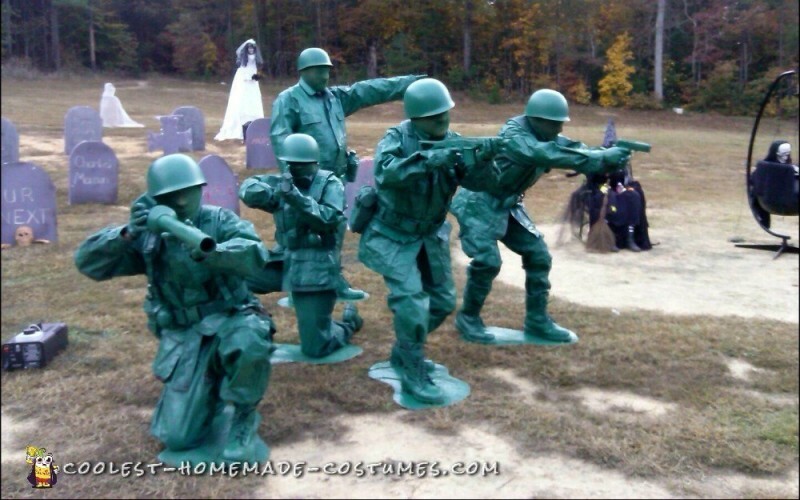 They came home just for our party and to wear our family costume. They had to head back the next day. Ill close with my husbands comments, after going thru weeks of painting. 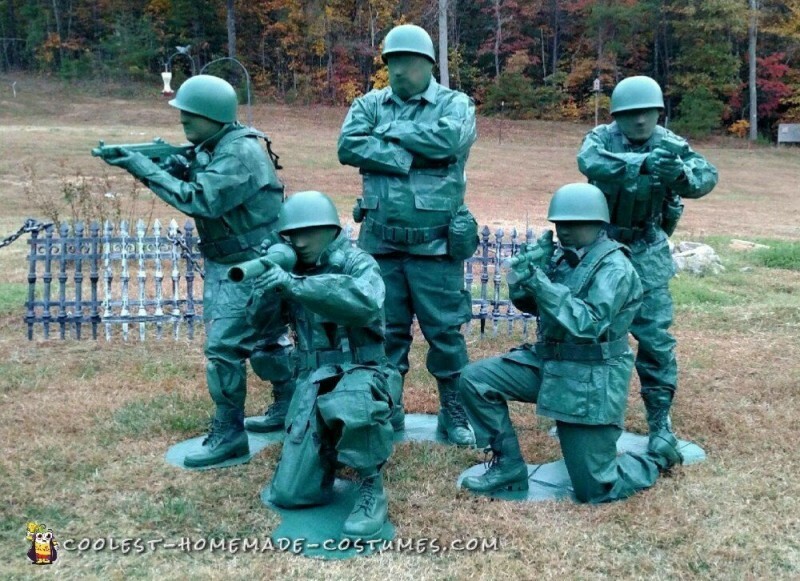 “I will never listen to your bright costume ideas again”, lol.